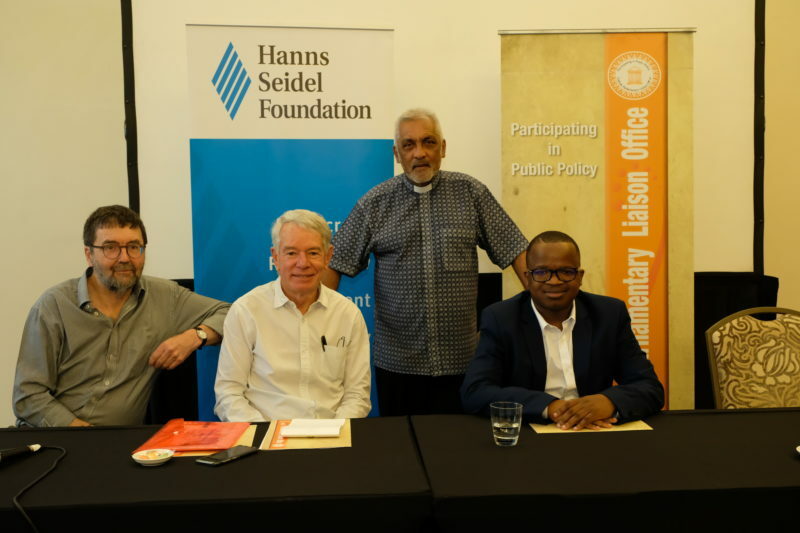 This roundtable discussion was organised in response to the ongoing debate about land expropriation and the supposed need to amend the Constitution in order to make expropriation without compensation (EWOC) possible. The speakers were: Dr Rick de Satge, an experienced land consultant and activist, and a partner in Phuhlisani Solutions; Mr Wandile Sihlobo, an agricultural economist with Agribiz SA (and a recently-appointed member of President Ramaphosa’s advisory committee on land); and Mr Jeremy Cronin, Deputy Minister of Public Works. Mr Sihlobo focused his presentation on the state of agriculture in SA, and on the plight of emerging commercial farmers. Overall, SA agriculture is in a fairly healthy position, and the country is a net exporter of agricultural produce. However, it remains a small direct contributor to GDP, at 2.2%, although it accounts for about 5% of employment. Since the land reform programme started, much land had been acquired by the government, but very little successful farming was happening on that land. The key problem was that there was inadequate investment: little access to capital, not enough training, limited access to markets, and so on. Without proper follow-up and support for beneficiaries of land reform, the mere handing over of pieces of land was not a solution; indeed, it could conceivably pose a threat to food sovereignty. Mr Cronin provided an historical overview of government’s land reform efforts, and admitted that the track record was “pathetic”. Regarding the current debate, it should be seen as a reflection of the deep divisions within the ANC. It was also a response to the challenges posed by the populist approach of the EFF. While there was an acknowledgement that a constitutional amendment was not strictly necessary, it was likely that there would be a minor amendment to give “clarity” on the circumstances under which EWOC would be possible. In due course a new draft of the Expropriation Bill would be tabled, setting out the kinds of property – such as abandoned farms, land occupied by tenant farmers, and derelict buildings – that could be expropriated. However, this legislation would not be processed before next year’s elections, and would have to be dealt with by the new Parliament.